Calling all Fall & Winter Brides! Your wedding day beauty routine isn’t just about applying lipstick - there’s so much more to it! One month out, you’ll want to make sure you’re being diligent with your skin care routine. If you don’t already have a routine, we recommend visiting Bluemercury for a free skin care consultation. Their talented beauty experts can help customize a beauty plan for you and recommend new products or services from their spa. And while the latter will clearly be done weeks leading up to the big day, your actual makeup appointment is the very last thing you’ll do. You can book this appointment at Bluemercury too! Their professional makeup artists will personalize your makeup look to bring out your best features. If you consider yourself as more of a BOLD bride, this NARS collection is PERFECT for you! These shadows are bright, vibrant, and extremely pigmented for one swipe gratification due to their pigment power suspension technology. 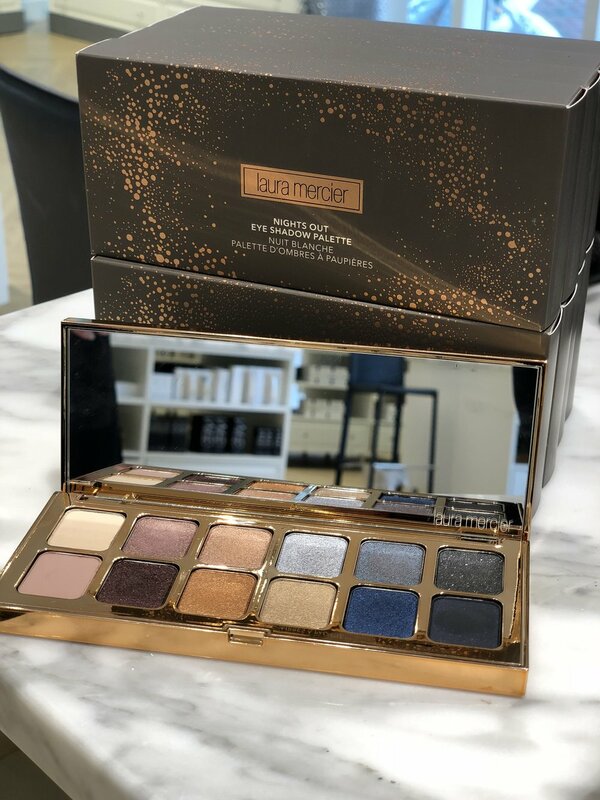 With this collection’s four finishes - butter mattes, lustrous satins, metallic shimmers, and saturated pop colors - you’re sure to catch everyone’s eye. With 42 unique options, the only problem you’ll have is trying choosing one! Are you a bride that prefers one all encompassing palette you can use for both BIG occasions and little ones? Then this Laura Mercier essential is just what you’re looking for. With 12 shades ranging from light to dark and cool to warm tones, you’ll have the ability to create both classic natural looks or more sultry bold looks. If you stop by Bluemercury in Town Center, their beauty experts can help you choose a look that best suits you and your wedding theme! That beautiful wedding day glow doesn’t always come naturally... This multi-use, multidimensional highlighting powder brings customizable light to face, eyes and décolletage. For a soft, natural application, use a fan powder brush and sweep lightly over the skin - anywhere you want that subtle glow! For more intense illumination, use a brush with dense bristles. 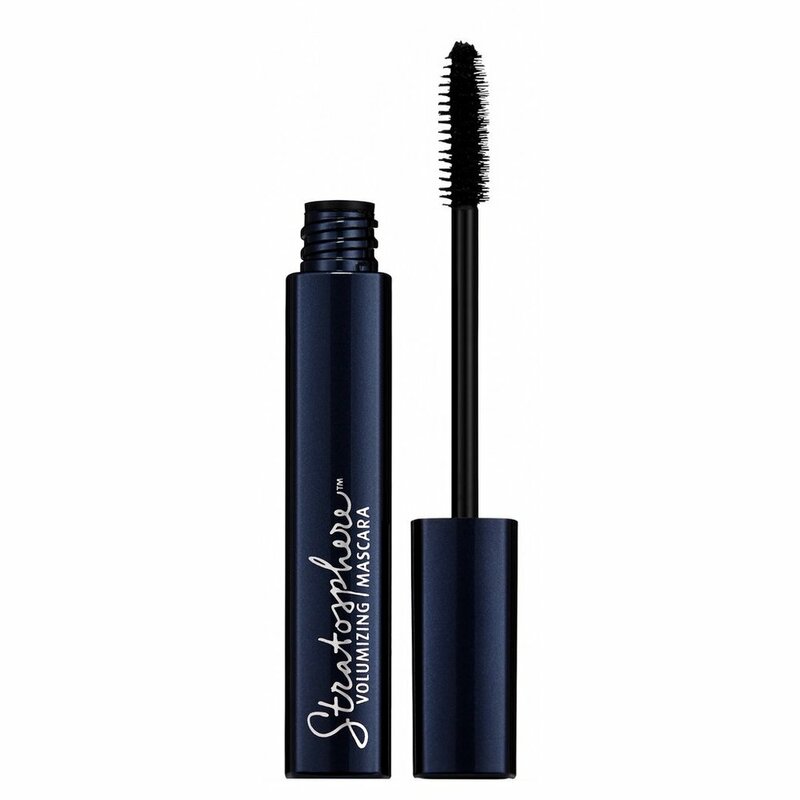 When all eyes are on you at the altar and during your reception, you’ll need a mascara that pops! Not only does Lune + Aster’s Stratosphere Volumizing Mascara give you the appearance of longer, fuller lashes but contains nourishing vitamin B5, vitamin C and peptides. Vitamin B5 nourishes lashes, Vitamin C helps lengthen and strengthen and Peptides encourage lash regrowth. Stop by Bluemercury and give it a try before your big day! With a long day ahead of you (and a prettttyyy important “you may kiss the bride” smooch coming your way), having lipwear that’s both beautiful and long lasting is a must. NARS has a great lip gloss collection with a broad selection of shades to match any skin tone. It even has potent sea lavender that helps protect against the signs of aging to keep lips soft and supple while hydrating and smoothing the appearance of fine lines. The experts at Bluemercury are ready to help you choose a shade that’s perfect for your big day! While this cool crisp fall weather is refreshing - it comes with some drawbacks… Dry air means dry and dull skin, which no bride-to-be wants to deal with on her big day! Transform your skin with the M-61 Vitamin C Energizing Facial at Bluemercury. 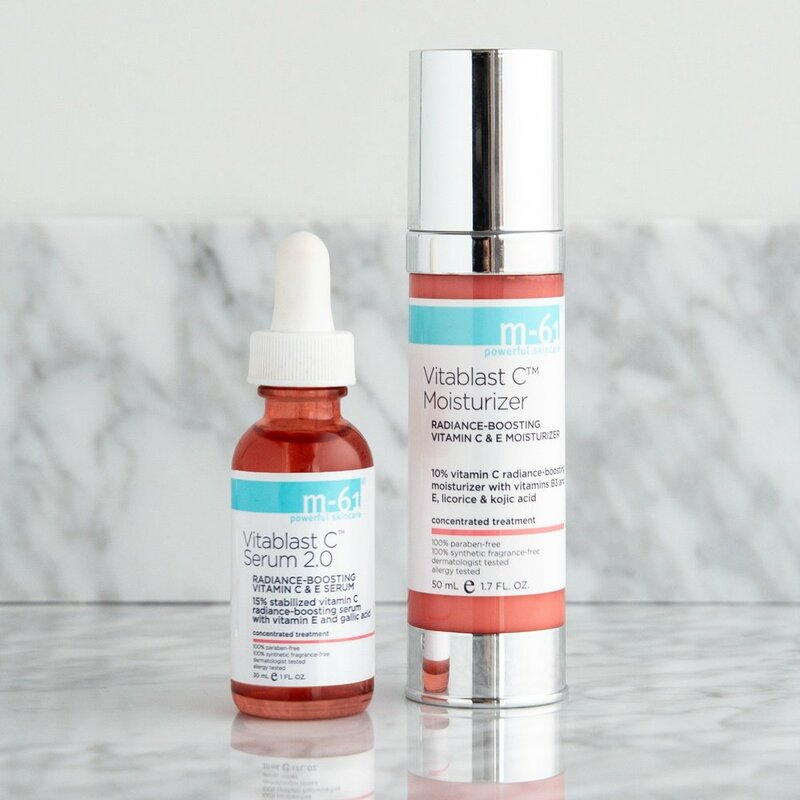 This facial features an exclusive sneak peek of the new Vitablast C Serum 2.0 - a pure dose of 15% vitamin C addresses dullness and revitalizes stressed skin while a super cocktail of vitamin B3, licorice and kojic acid further increase brightening benefits. This rejuvenating experience includes a new oxygen-infused massage treatment to relax muscles, relieve stress and improve circulation, allowing M-61’s active ingredients to penetrate the skin’s barrier and absorb more deeply.